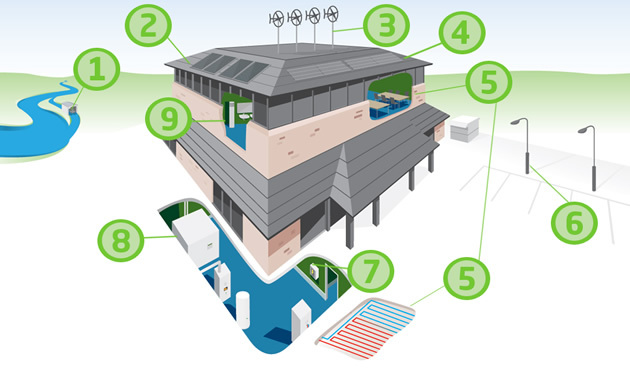 Just wanted to share these great interactive diagrams created by MCS certified renewable energy installers Futurum Renewable Energy Systems who are based here in Dorset but cover much of the UK. 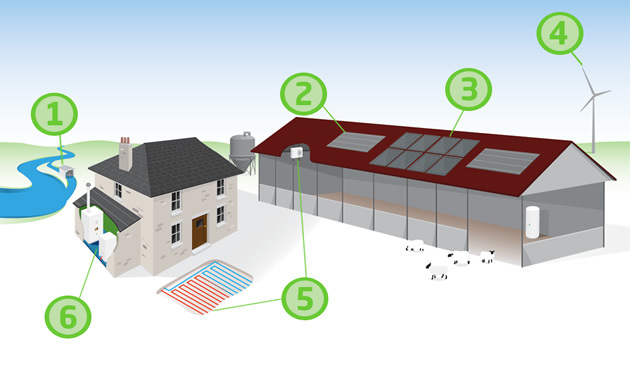 They are a really quick and easy visual way to explore what renewable energy options are possible for your home, business or farm – from Solar, Heat Pumps and Biomass Energy to Water and Wind Power. Click on the diagrams to link through to their site to see more, or to explore technologies further go to: http://futurumltd.co.uk/technologies. We need to give installation of Anaerobic Digestion (AD) plant our strong support as the counter-balance to our opposition of fracking. Both produce methane gas that can be injected to the gas grid to heat homes and businesses as well as generating electricity in quick start up power plant that can be used to balance intermittent renewables. Obviously biogas from AD is preferable. No one seems to have calculated how much could be produced from farm integrated AD plant but perhaps it could produce the other 50%. The big one at Poundbury (info: here) produces up to 80% of West Dorset’s gas needs from just six farms growing grass and maize on a 4 year crop rotation between cereal crops. The solid digestate looks and smells similar to horse plop and is used for the cereal crops as an alternative to inorganic fertilisers. It is slow release and an excellent soil improver. On livestock farms, part of the motivation to install AD is to process the animal waste to produce a high quality digestate to spread on the land as a replacement to the raw animal dung which can pollute nearby water courses in some weather conditions. AD plant should be seen as an integral part of efficient British agriculture making it more sustainable, more organic, more productive. Grass grows exceptionally well in the damp UK climate and is the ideal feedstock for AD. Rather than leave cuttings on the ground. we could divert cuttings from road verges, sports fields, parks and any area where a less fertile soil is the aim (so that wild flowers compete better with the grass)to AD plant. We should not forget that renewable gas is almost as important as renewable electricity. "Thanks John for joining the debate on these pages. You are very welcome. I agree quantification is the best way to reach an idea of what is possible. Looking at the statistics from DECC 700 TWh is a reasonable estimate of 2014/2015 UK gas demand. However, we must take into account ongoing reduction in gas demand from electricity generation as more and more renewable electricity generation comes on line. It was a modest 1% reduction in 2013 but our present government, with its destabilising influence on renewable electricity due to wild changes in tariff levels and licensing costs and ease (or not) of gaining planning consent, is holding back installation of renewables. With proper stable backing, renewables, let of the leash, could rocket. So let’s hope for a diminished Conservative influence in the next government. Poundbury produces 0.004 Twhy which would mean 86,000 Pounbury sized plants in the UK (or 1000 per UK county) to meet the 344 TWhy domestic gas consumption. I agree this is probably not realistic but think your estimate of 20 TWhy ceiling (or 5,000 Poundbury sized AD plant) for the UK is also not accurate. I still maintain that with falling gas demand due to better insulated and better constructed houses following the 2016 improvement to building regulations, roll out of solar thermal and wood heat and much reduced demand to generate electricity, AD could meet a much higher proportion of UK gas demand than anyone is currently predicting. I admit I can’t quantify the potential accurately yet because AD to gas grid is at the first stage of development. However, I believe continued use of slowly declining extraction of North Sea gas along with rapid expansion of AD gas, big improvements in energy efficiency and renewable electricity generation can see us through without the need for fracked gas. Like nuclear power, fracking carries low probability but high impact risks that are just not worth taking. Keith Wheaton-Green "
"Biomethane is great and Poundbury has been a success, helping 20 projects that are being built this year. But realistic max Biomethane is 20 TWh/Annum…..total gas consumption is 700 TWh so we need to import lots of gas Qatar LNG is very high GHG and forecast to cost £10 billion/Annum in 2025….that’s a lot of money, if we can produce this gas in UK we will have £7 billion tax…..to fund renewables and insulation "
Reducing carbon footprint is a mutual responsibility for all of us who inhabit this planet. It is not just your local municipality, state government, a well funded non-profit or national government that can do something significant to help reduce the carbon footprint. You too can do your bit. Read on to find out how! Most people cannot stop using a car altogether but you can reduce your contribution to the carbon footprint by 30% per gallon. Always accelerate slowly and as smoothly as you can. Stay within the speed limit and drive steadily. Always keep your car in good working condition. Replace your filters on time. Or invest in an Electric Car with zero emissions. By taking a handful of smart decisions related to travel, you can make a considerable difference to the emission level due to vehicles. Combine errands in one trip instead of many. Use a carpool and save up to 20% per gallon. Once a week, use a cycle to reach office or take out the bike instead of the car. And if your workplace is less than a mile, why not just take a walk! If possible, you can even work from home on some days. Invest in programmable thermostats in order to control the temperature of your home. Keep your house in prime shape by regularly maintaining the caulking and the insulation. Change your lighting to CFL’s, they cut down the energy bill by two thirds and work for a very long time. At all times, keep your heating and cooling systems in good shape to keep energy loss at the minimum. Teach your children to keep the faucet off while brushing and shaving. When buying appliances, check that it has the Energy Star Label. Replace windows that are losing heat. And start looking for solar energy options for the house. Use recycled paper for sending out invites. Or go one step further and cut out paper altogether; go for a virtual set up for invitations. Set a menu having ingredients that can be procured locally and are organic. Set the venue outside in the lap of nature to avoid decorations and other fanfare. Choose a location that involves very little transportation. Shut down your computer and switch off the monitor before you leave for the day. Before printing a document, see if it can be given on a pen drive or better still, can be passed on through an e-mail. If you really need to print, do it on both sides. Carpool to work or walk it if possible. Open your windows to save energy, if you can. Carry your lunch from home or walk to the coffee shop; don’t drive just because it has become a habit. Only switch on lights you need. The most important thing to remember is – Reuse, reduce, and recycle. You can do it! Let’s make our planet more beautiful than we our ancestors left it us for. The article is by Conor MacGuire, author for Green Energy Scotland Limited, who provides energy saving advice in Scotland. They help people of Scotland to make their home energy efficient so that they can save on energy bills. They also replace boilers under boiler replacement scheme in Scotland. It’s called the Green Deal – a project designed to help you make energy saving improvements at home and also to find the ideal way to make payments for the same. Home improvements for maximum energy conservation generally depend upon the structure of the house. However the main focus of the project should be including solid wall insulation, double glazing, boiler upgrades, and much many other things discussed below. After many years of talking and planning about the Green Deal, the flagship energy saving scheme designed by the government is finally up and running. The aim of the project is to make every house warmer and much cheaper to run. To achieve this however, people are not required to shell large sums of money upfront. Survey the entire property and come up with EPC (Energy Performance Certificate) in order to ascertain the current energy rating and also to recognize the types of developments which the Green Deal can fund. In case the EPC recognizes any suitable measure fit for attaining Green Deal finance, the Green Deal Assessor will commence a Green Deal Occupancy Assessment and recognize what improvements are going to be cost effective and look out for any scope of cash back or subsidies. Supervise the home improvement installations and sign off as soon as the work is complete. The Green Deal Advisor will fix up with the Green Deal Provider and appoint a suitable Green Deal Installer for you. The installer will then make the required home improvement jobs – you and the Green Deal Advisor agreed upon. 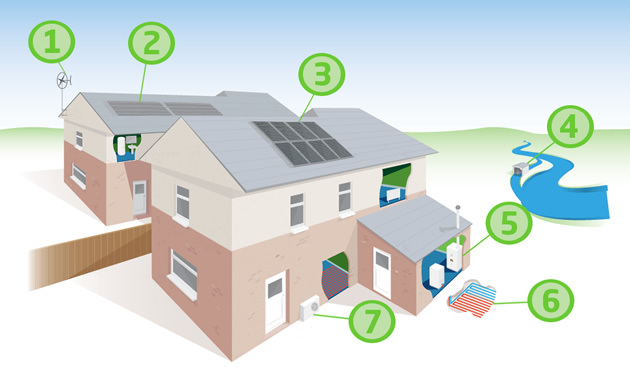 You are required to constantly access the installer to ensure he fulfills all the standards laid down by the Green Deal. You are required to pay back the cost of your various home improvement jobs over a period of time by means of electricity bills. Here your electricity supplier is supposed to pass on your payments to the respective Green Deal Provider. It is to be noted that the amount you pay via your electricity bill is not going to be more than you save upon your heating bills. This way you are guaranteed to be in profit from the very first day. You’ll be required to pay for your home improvement services, but the payment you make will never be considered as your conventional personal loan. Reason – the payment will be attached to your electricity meter and paid back in the form of electricity bill. In case you vacate the property, the charge will be picked up by the new occupant, who will also benefit from the energy-efficient property. A regular interest will be charged on all payments, but the rate will be fixed. In addition, you will be shown a complete schedule of all the payments before you finally sign up the plan. The non-domestic centers would also cover mechanical ventilation, heat recovery measures and lighting. Recently, the government launched the Green Deal Cask Back Scheme in an attempt to encourage more homeowners to take up home improvements right in the early days of Green Deal. According to the scheme, the most eligible candidates will receive cash back guarantee as soon as they get their measures installed. The highest rates will be allotted to the earliest applicants. This will provide heating and hot water saving measures, glazing, micro generation technology and insulation to vulnerable and low-income households. There are however complex eligibility criteria for this scheme. CSO is a means to provide funding in order to insulate solid-walled premises including those with tough to treat cavity walls. This will provide glazing and insulation measures to all people comprising of bottom 15% of the most deprived areas in UK. Myself and everyone at Dorset Energized would like to say: Very Happy New Year! Like many people, money is very tight for me at the moment and I am not a homeowner myself so cannot invest in most renewable energy technologies, but I do care deeply about the Earth, and all the people and animals who live here, so I want to play my part. Every individual can make a difference. You can choose to ignore the fact that we all need to save energy and invest in renewables, or pretend your actions don’t count, or you can choose to take positive action – however small – and you never know you may even save some money, right now! Why not take advantage of the new year sales to check out your local heat energy showrooms to choose a more energy efficient woodburning stove (often referred to as Biomass Boliers). Wood stoves are becoming an increasingly popular choice not just for providing a focal point to a room, allowing you to gaze into the flames, but also for providing cheap hot water for central heating and domestic hot water for the whole home. Plus don’t miss out on getting £950 back in the form of a voucher when you install a Biomass Boiler, with The Renewable Heat Premium. Take advantage of The Renewable Heat Premium until March 2013, with a money-back scheme to get either a £850 voucher when you install an Air Source Heat Pump, or £1,250 for a Ground Source or Water Source Heat Pump. Heat pumps extract the warmth from solar energy which is stored in the ground, water courses and in the air. The systems use electricity to drive a pump which extracts the warmth and upgrades it into useful heat. Fridges are heat pumps and work by the same principal but in reverse, moving heat from inside the fridge to outside, thus cooling the inside. Combined Heat and Power (CHP) is a technology that can replace your standard boiler for your heating system, but also integrates the production of electricity, in one single, highly efficient process making it a low carbon technology. A domestic CHP unit can reduce yearly fuel bills by up to £600 and cut household carbon emissions by up to 40%. In 2013 we hope to develop the Dorset Energized website and inspire even more people to connect with renewable energy and reduce their energy demand. We want to recommend even more friendly and trusted local experts in renewable energy. And we want to bring you even more fantastic energy and money saving offers to help you take the next step to becoming part of the green energy revolution! We also want this to be YOUR website – so please do send us your comments for taking positive action on energy via our blog, and we want to hear YOUR stories on your experiences with renewable energy, saving energy, and sustainable living – to help inspire others. So here’s to a fabulous 2013 and the green energy revolution! The award-winning Renewables Roadshow returns this September and has been designed to deliver the essential day in your year! Whether you’re looking for information, innovation or inspiration you will find it there. So if you need to get up to speed or if you want to keep your finger on the pulse of the rapidly evolving renewables marketplace, make sure you visit the Renewables Roadshow. The nearest venue to Dorset is Exeter, so if you can travel it should be well worth the effort! You will also have the opportunity to attend a succession of key demonstrations & presentations delivered by real industry experts FREE of charge. Air Source, Biomass, Commercial, Controls, Domestic, Electric Efficient Technologies, Energy Management, Greywater Recycling, Ground Source, Hydro, Industrial, Insulation, Low Energy Lighting, MHVR, Micro CHP, Micro Wind, Rainwater Harvesting, Smart Metering, Solar PV, Solar Thermal, Underfloor Heating, Ventilation, Water Efficient Technologies. Green Deal Theatre, Commercial Theatre (CPD Points), Domestic Theatre, Solar Theatre, Training Theatre, Water Efficiency Theatre, Installer Theatre.